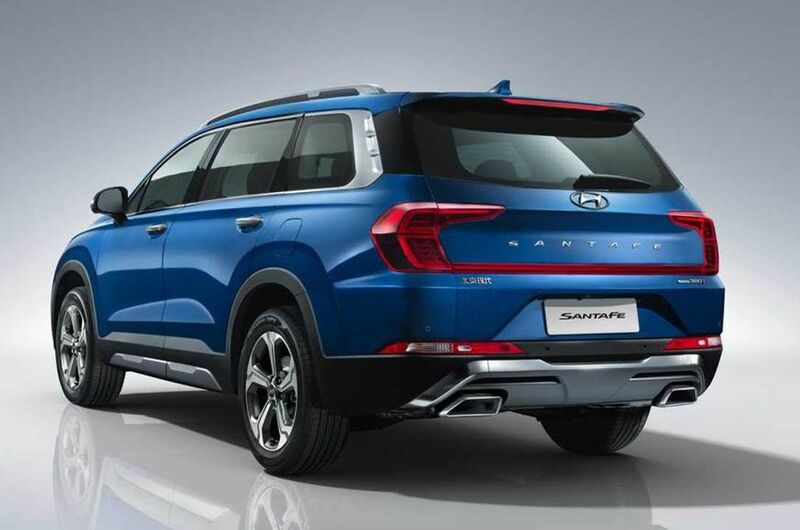 The buyers in the Chinese market gives more importance for the rear seat, which is why manufacturers develop long-wheelbase models and most of these models will be specific for the Chinese market. 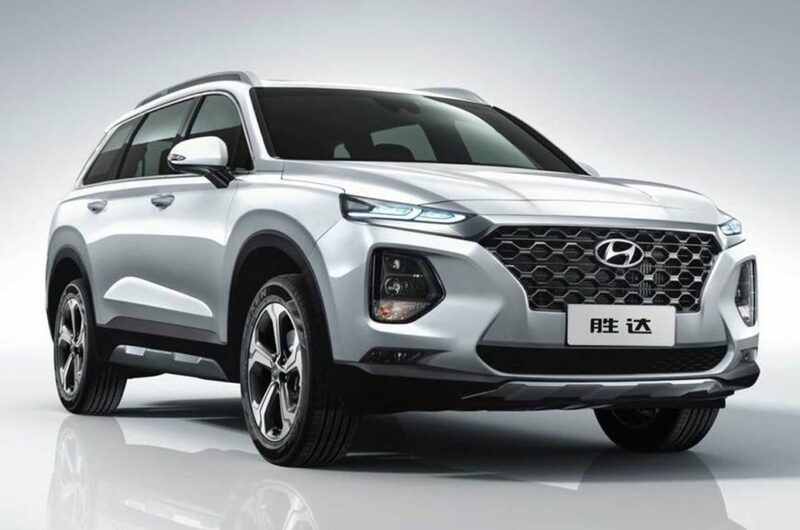 Hyundai launched the fourth generation Santa Fe last year and now the company has revealed the long-wheelbase variant for the Chinese market. The overall length of the Santa Fe increased by 160 mm and the wheelbase has gone up by 100 mm, which has improved space for second and third-row passengers. The SUV is available in either six-seater with captain seats or seven seater option with a bench seat in the middle but the captain seats make the travelling more comfortable. The Santa Fe LWB retain the same front design as the regular model. The SUV comes with the signature grille of Hyundai, which is bigger than other models and split headlamps design as the LED DRL is placed on the top and projector headlamps are postponed below it. The fog lamps are integrated into the lower part of the bumper. The changes in the design start after the B-pillar as the third-row glass is bigger. Hyundai has completely redesigned the rear as the SUV gets new LED tail lamps. The tailgate also gets an updated design with a new bumper. The company has also given an integrated spoiler, which gives a sporty look for the SUV. 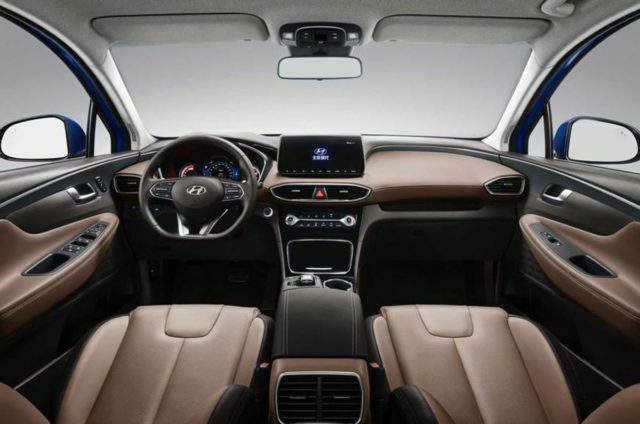 The interior design is shared with the regular model but Hyundai has made some changes like a new infotainment system, which gets an updated software. The gear knob also comes with a new design along with some of the controls in the central console is also different from the global model. The Santa Fe LWB is loaded with lots of technologies. One of the stands out feature of the new model is the biometric authentication technology of Hyundai as the fingerprint sensor is used to start the engine. The Santa Fe LWB gets ultrasonic sensor based system, which warns the driver if a child or pet inside the car after locking. The company hasn’t given details about the engine details.